Hey there SixPrizes! My name is Raymond Cipoletti, Rayquaza Cipoletti, or the guy that everybody loves! Most people have probably never heard of me before, but I would consider myself a decent player. Last year was my first full season of playing Pokémon and it was one of the best times of my life. I was able to win States, multiple Cities, Battle Roads, and Top 32 Worlds. Pokemon ParadijsThis is the RayEels list that I won 3 Battle Roads in a row with, so it was the deck I was most comfortable with. I think the list was pretty solid, nothing is too out of the ordinary. 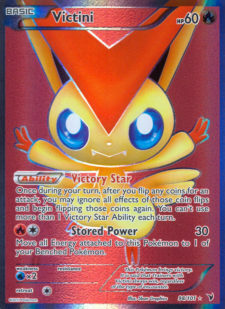 The most interesting tech in the deck is probably Victini. 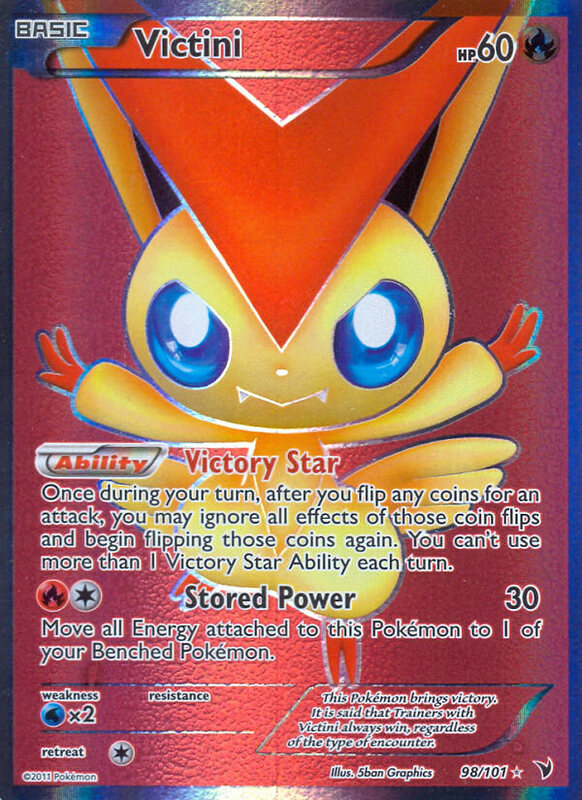 Victini NVI 14, also known as Fliptini, is an all-star against Darkrai decks that play little or no Switch. If you can Paralyze them for a few turns with Tynamo or Raikou you can probably buy yourself enough time to power up Rayquaza EX and set up your board with Eelektriks. One thing you have to be careful of is evolving into Eelektrik too early. If you evolve into Eelektrik too soon it could just get Catchered up. If you whiff the Switch after you get Catchered, your Paralysis lock will be broken. In any game against a Darkrai Hydreigon deck I will try to go for the Paralysis lock on turn one by using Tynamo’s Thunder Wave attack. Turn one Thunder Wave isn’t difficult at all because you play four Switch and 6 ways to search out Victini and Tynamo. If the dreaded double tails ever came before I was set up, my opponent never seemed to take out my Victini and I would just continue Paralyzing them. If they did take out Victini, then you would hope that you had a setup board by then and start actually doing some damage. My ideal start against Darkrai would be to Paralyze them for the first four turns of the game. Starting on turn two I would begin to power up Rayquaza EX manually. By turn four I would be able to take out a Darkrai and evolve at least two Tynamo into Eelektrik. Surprisingly this happened a lot for me and I would rarely lose to Darkrai unless my Victini was prized or I just started horrible. Pokemon ParadijsSome people complain that Victini isn’t that great because it relies on a coin flip. My answer to that is hitting the Paralysis is fairly good and I find that if you get it, it can win you the game. There was no better way to defeat Darkrai decks if you are playing RayEels then to try to Paralyze them for a little while. This is of course unless they play Switches, then this strategy is less effective. You could also just god start them and do something crazy like turn 2 or 3 180 to kill a Darkrai, but I was never that fortunate. The non-Darkrai matches I expected to see a lot of was the mirror match. For the mirror match I opted to put in double Raikou. Chaining Raikou is the mirror match is very powerful. The play that won me the most mirror matches was this: Catcher your opponent’s Eel, Volt Bolt their benched Eel, then turn retreat for free off of Skyarrow Bridge into another fully powered Raikou, and Volt Bolt again. 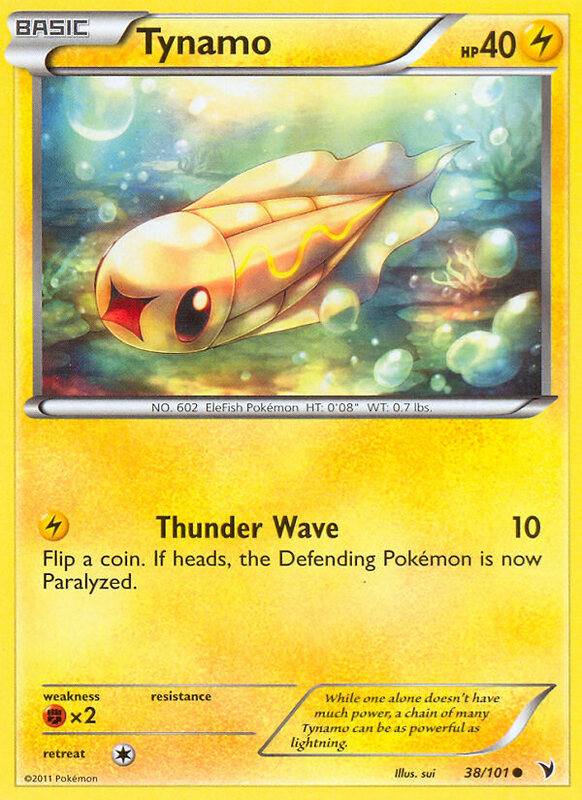 The most important part of any Eels deck is Eelektrik, so if you can take them all out you’re golden! Getting turn one Shiny Rayquaza and repeatedly killing and Tynamo is also another good strategy, but sometimes you whiff the Catcher and it doesn’t work. I tried to avoid going into Rayquaza EX wars until I cleared out my opponents Eels with Raikou. I felt like Darkrai Terrakion had a pretty good matchup against most of the field and I really liked my list. The only reason I chose to go with RayEels over this is because I had a lot more experience with RayEels and felt that they were both good choices for Regionals. stevendepoloOnto to the tournament itself! The actual tournament was pretty depressing. The first two rounds I was basically donked. There isn’t much to say about getting donked – it’s just bad luck. After I was donked for the second time in a row all I could taste was sour grapes! 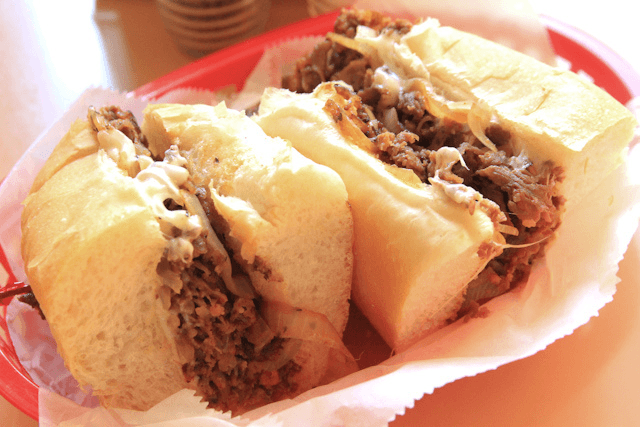 In order to get the taste of sour grapes out of my mouth I proceeded to run out of the convention center with two friends, who were fortunate enough to donk their opponents, and go to a Philly cheese steak place named Jake’s. The food there was amazing and my mood was instantly lifted after a few laughs and a good lunch. I knew it would be an uphill battle if I wanted to make top cut and that going on tilt would not help at all. Thankfully I was able to clear my mind by the time round 3 pairings went up. If you know me in real life then you know I’m very forgetful unless I write things down… some might go as far as to call me stupid. Since I was not planning on writing this report going into the tournament, I wrote nothing down… therefore I remember very little. I do know that in my fourth game I was able to win despite having to burn three Fire Energies with a Dragon Burst to KO a Mewtwo EX. Most of my other rounds were pretty straightforward and I played against exactly what I expected to see. I ended up almost making the comeback to make top cut, only to lose off of my opponent getting extremely lucky and landing around 10 Crushing Hammer in a row. I finished the day at 6-3, whiffing Top 32. This tournament was very long and by the end of it I had no idea how I had as much energy as I did. Luckily despite my poor tournament performance I was able to salvage the weekend by going out into the city and having a blast! The people are the real reason why I play this game. If I didn’t have fun at tournaments outside of just playing or winning I would not play. After the tournaments are when the most memorable and fun things happen anyways! Hollywood.comThe weekend would not have been nearly as epic if Gino Lombardi and I hadn’t crashed a wedding. That will always be a fun story to tell! The more I play Pokémon the more crazy awesome stories I will be able to tell. I have quite the storybook already and hope to make it bigger with every tournament. It really is the people who make the game fun, so please if you have a bad tournament try not to let it ruin your mood and the whole weekend. After all, you’re probably surrounded by great friends and will have a blast no matter how you do. Winning is just a big bonus! 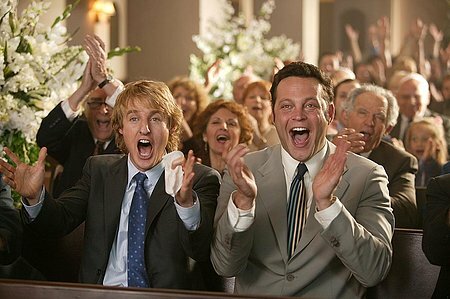 I think everyone wants to hear about the wedding crashing… tell us more! Good job, Ray ‘Chips and Spaghetti’ Cipoletti! Haha this was brilliant. I started reading, looked down quickly and noticed there were no matches written up and it was pretty short. Thus, the report was really about tasting sour grapes and philly cheesesteak. So the article totally delivered. Adam, its kind of a long story, but ill try to explain it. So basically Gino and I are trying to find his boss who happened to be in Philly that day for a baseball game. We end up clicking the wrong button on the elevator and go into the basment of the Marriot instead of the floor his boss is on. When we got down to the basement there was a wedding going on so we were like why not haha We just took some food and drinks and stuff (Gino may have screamed profanities) then we preceeded to run away…. good day! At first I got a little dissapointed when I realized there were no matchups, but your entusiasm and humour made up for it! Great job winning 3 Battle Roads with RayEels!